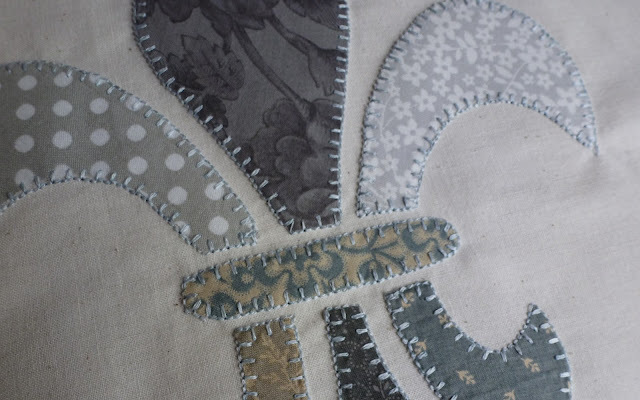 Quick update on latest sewing exploits! 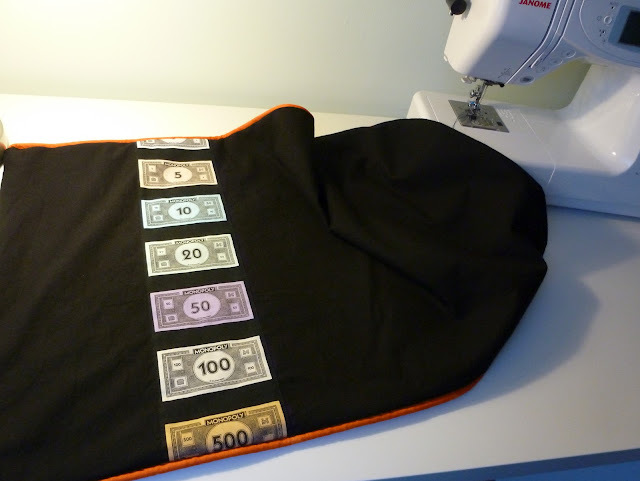 I had a length of the monopoly money left from the panel I used to make the quilt and used it to make a pillowcase to match. It was all going really well until I noticed I had some orange binding left over and thought I could use that too. Then a 1 hour project turned into a 3 hour project, especially as I tried to work out how to finish the ends now they all had orange piping sticking out. Ho hum, it's finished now and I'm happy I've used every last scrap of Monopoly fabric and I can move onto my next project. Here's a sneak preview of what I'd started before I got distracted with the birthday monopoly quilt. Himself is planning to redecorate the bedroom of the Country House and has been influenced by the lovely furnishings and faded grandeur observed on our trips to rural France. The colours will be warm grey, white and cream and my contribution will be a quilt on the same theme. Below is a fleur de lys just so I could see how the colours worked together. Might turn it into a cushion.....pip pip!